This release has been a long time coming, or at least it certainly feels that way. Recorded last Summer around Utech Records Music Festival (when Locrian's collaboration with Horseback was released, no less! 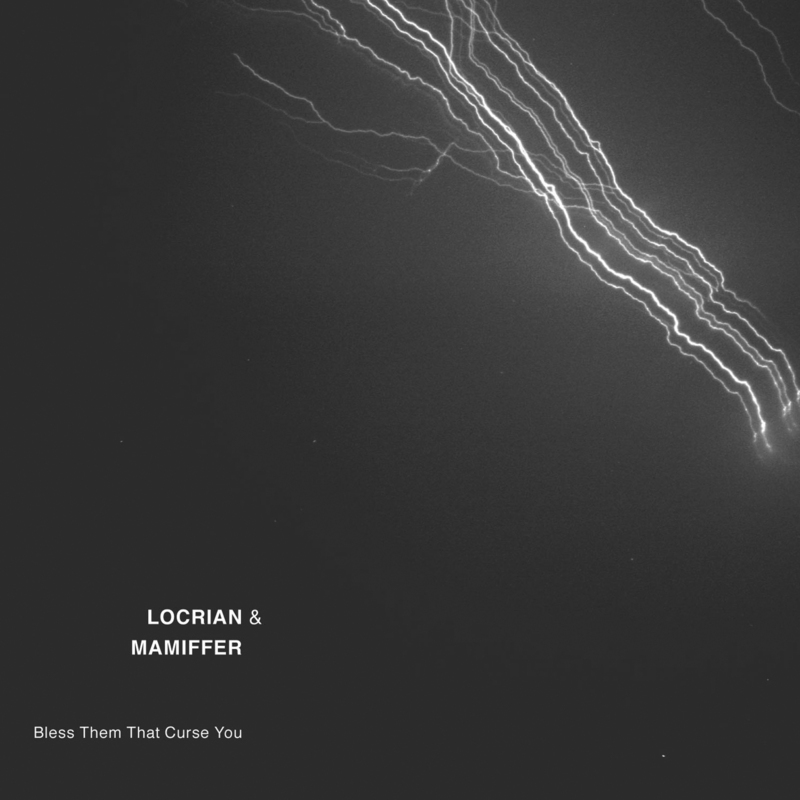 ), the unbelievable collaborative effort between personal favorites Locrian and Mamiffer, both of which graced at least one of our year end lists, was bound to be a defining effort in the modern wave of experimental music. The possibilities were endless, as infinity is the only truly plausible outcome when one puts the minds of Andre Foisy, Terence Hannum, Steven Hess, Faith Coloccia, Aaron Turner, and Travis Rommereim in a recording studio. 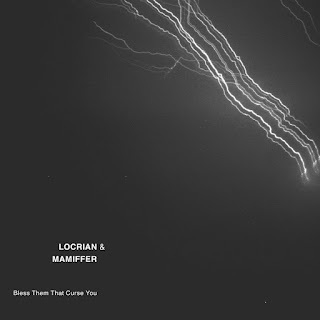 When considering Locrian and Mamiffer's previous releases, one would almost expect collaborative effort Bless Them That Curse You to exist somewhere between Locrian's doomed, blackish dreamnoise and Mamiffer's intricate, piano-based modern classical, but it's not that simple. What we see here is a perfect melding of styles, making Bless Them That Curse You not so much a sum of its parts as it is something entirely new. Yes, there are still elements indicative of each performing artist, be it Coloccia's chiming piano, Hannum's dense analog synthesizer work, and so on, but there have been many occasions when listening to this record where I almost forget that I'm listening to either Locrian or Mamiffer. Though dreamy at times, like piano led tracks "In Fuliminic Blaze" and "Lechatelierite," Bless Them That Curse You possesses an underlying, Cold Spring-like terror which rears its ugly head unannounced, only to descend into heavy percussion or chaotic noise. A dark offering comprised of contemplation and bombast, Locrian and Mamiffer's seamless blend has brought about some of the best in new experimental music. Bless Them That Curse You is actually taken from the King James version of the book of Luke, which fully reads "Bless them that curse you, and pray for them which despitefully use you." Though the title is tasteful and rather fitting of the equally blessed and cursed music put forth on this album, I wonder if either Locrian or Mamiffer will ever have to worry about "despiteful use" anytime soon. Bless Them That Curse You will be available as a deluxe, double LP from both Utech and SIGE Records later this month, followed by a cassette release on Locrian's Land of Decay Records and a digipak CD on Profound Lore Records. With so many options available, there is absolutely no reason why you should skip out on such a magnificent collaboration. Word has it that Mamiffer has a few other collaborations slated for release later this year, as well. Beside of the members from both groups there were also Alex Barnett (Oakeater) and Brian Cook (Russian Circles) :) So that's even more than collaboration of Locrian and Mamiffer. Don't forget abour Mr. Dunn whos skill are invaluable.